Google has just announced their Q4 2010 earnings. Looking them over quickly, they look good. But that’s the secondary story right now. The bigger story is that Google has just announced that co-founder Larry Page will be replacing Eric Schmidt as CEO of the company. This transition will take place on April 4, Google says. Schmidt will take the role of “Executive Chairman” and will focus on “deals, partnerships, customers and broader business relationships, government outreach and technology thought leadership,” the company says. He will also continue to act as an advisor to Page and fellow co-founder Sergey Brin. Speaking of Brin, he’ll be working on “strategic projects, in particular working on new products,” the company says. His title will remain “co-founder”. So it sounds like no big change there. We’ve been talking about how best to simplify our management structure and speed up decision making for a long time. By clarifying our individual roles we’ll create clearer responsibility and accountability at the top of the company. In my clear opinion, Larry is ready to lead and I’m excited about working with both him and Sergey for a long time to come. 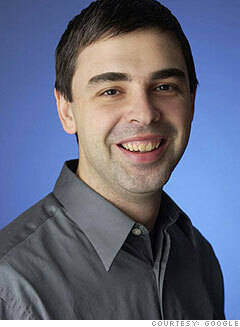 Eric has clearly done an outstanding job leading Google for the last decade. The results speak for themselves. There is no other CEO in the world that could have kept such headstrong founders so deeply involved and still run the business so brilliantly. Eric is a tremendous leader and I have learned innumerable lessons from him. His advice and efforts will be invaluable to me as I start in this new role. Google still has such incredible opportunity–we are only at the beginning and I can’t wait to get started. Meanwhile, Techmeme picked a good day to start including tweets as headlines — Schmidt’s is pretty epic: “Day-to-day adult supervision no longer needed!,” he writes with a link to his post on the Google blog. Wow. More to come obviously, as Google’s earnings call will take place at 1:30. Join us as we cover it live.